Product prices and availability are accurate as of 2019-04-19 02:52:43 UTC and are subject to change. Any price and availability information displayed on http://www.amazon.co.uk/ at the time of purchase will apply to the purchase of this product. Raw Virgin Coconut Oil is a wonderful and healthy option to add to your dog's diet. In the Dog Cancer Survival Guide, Dr. Dressler recommends virgin coconut oil as one of the healthy options you can add to the Dog Cancer Diet before serving. We hope this helps in adding more flavor to your dog's diet! 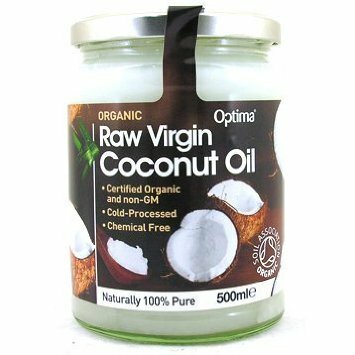 Organic Raw Virgin Coconut Oil can be used all over the body as a lusciously nourishing and moisturising beauty treatment. May also be used to replace oil/butter in cooking, baking, as a spread and in smoothies. Raw Virgin Coconut Oil solidifies below 24°C, but above this temperature it will turn to liquid. This is a natural characteristic due to its fatty acid profile and does not affect the quality or integrity of the product. It is safe and healthy to use in either state.